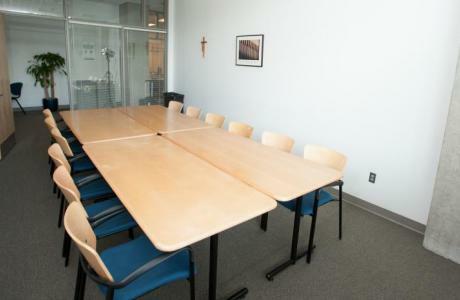 The Catholic University of America provides Washington D.C. conference services for a wide variety of external clients and events. 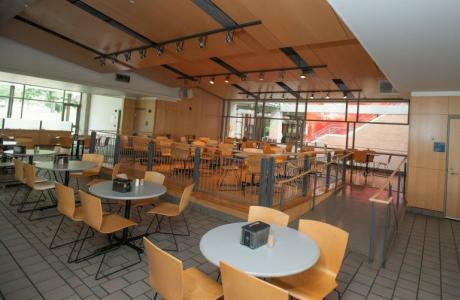 Located on Michigan Avenue, N.E., CUA is only three miles north of the Capitol Building and numerous D.C. attractions. 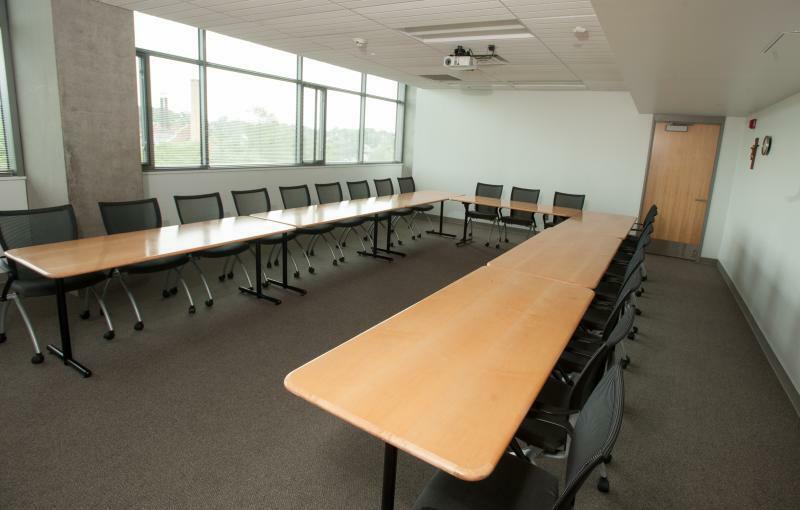 We offer great value and service and can accommodate both small and large-scale D.C. conferences and events. 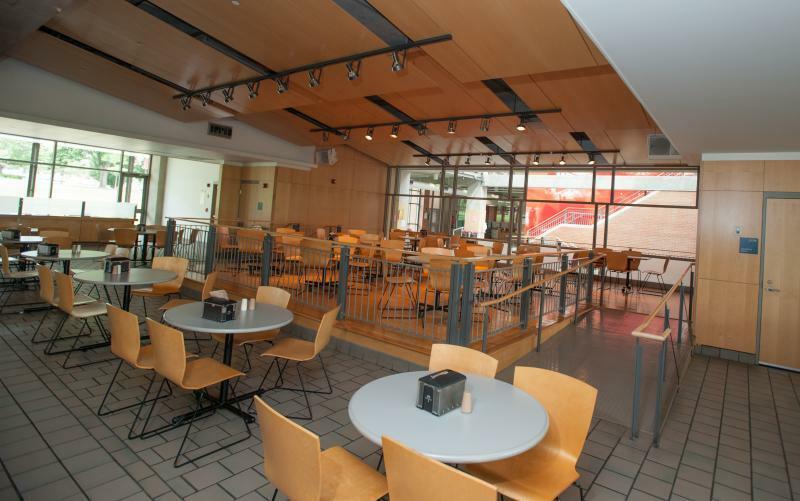 The D.C. conference facilities are within walking distance from the Brookland/CUA Metrorail stop on the Red Line, a dedicated campus stop. Union Station, Capitol Hill, and the Smithsonian museums are only a few stops away. Conference housing is available year round at our Washington, D.C. event venue. Customized for your specific needs. Pryzbyla Center Great Rooms	 This 7000 square foot room may be easily divided into one, two, or three separate spaces (Great Room A, Great Room B, Great Room C, Great Room AB, Great Room BC, Great Room ABC) for a customized set-up. Each space contains a ceiling mounted HD projector, podium, microphones, and a laptop. 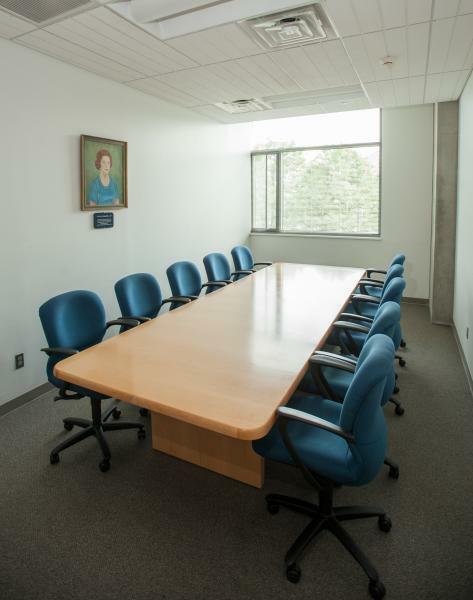 203 Conference Room	 The standard set-up is a boardroom accommodating 12-15 guests. 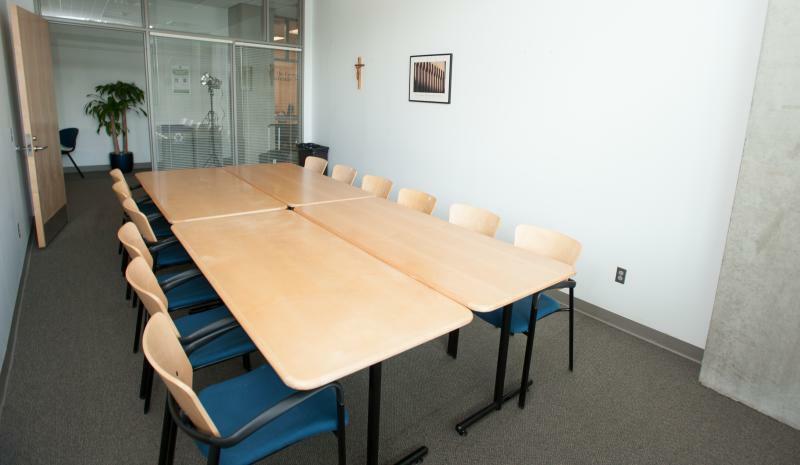 Portable laptops, LCD projectors, and flip charts can be reserved for use in this space. 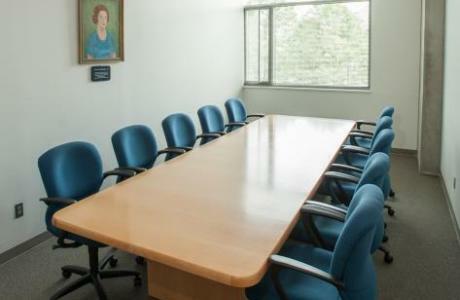 205 Conference Room	 The standard set-up is a boardroom accommodating 12-15 guests. 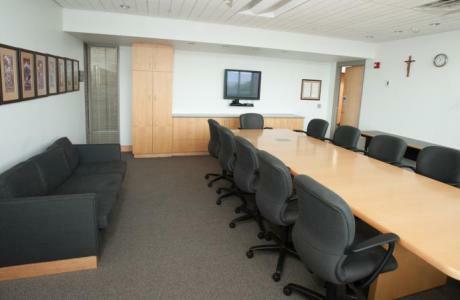 Portable laptops, LCD projectors, and flip charts can be reserved for use in this space. 321 & 323 Conference Rooms	 Removable airwall can separate or open up space into one or two rooms. 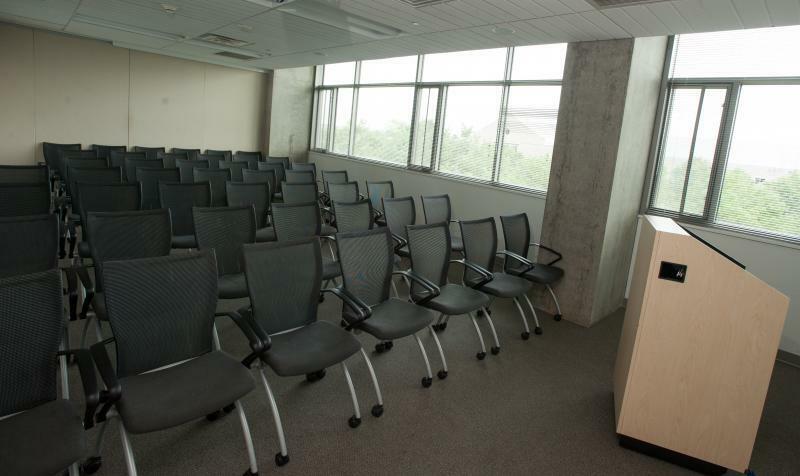 When divided, the space accommodates 20-25 in either boardroom or classroom style and 40-50 in lecture style. 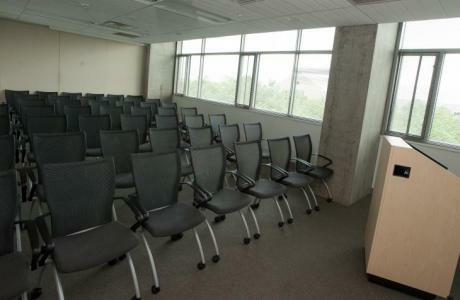 Combined, the space accommodates 50 banquet style and 80-90 lecture style. Both rooms contain a podium and a ceiling-mounted LCD projector. 327 Conference Room	 The standard set-up is a U-shaped boardroom accommodating up to 21 guests. 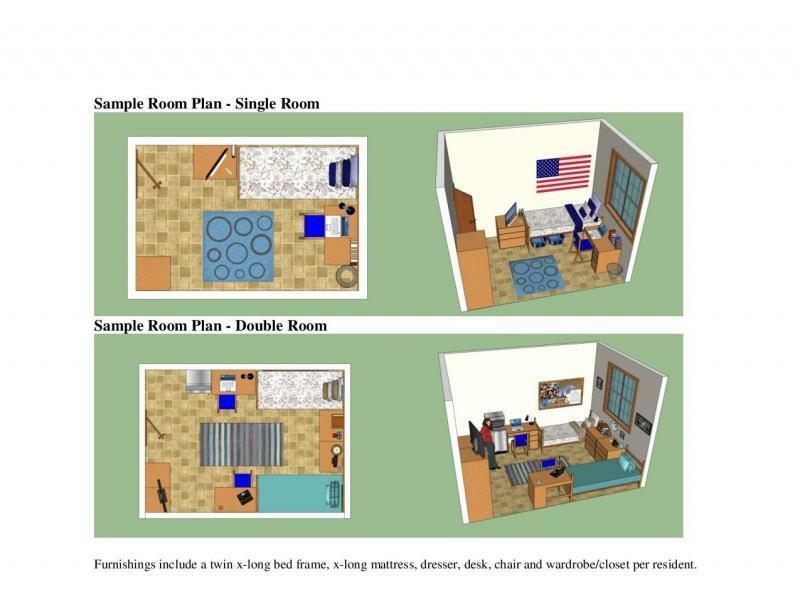 Room can accommodate 32 banquet style and 40 lecture style. The room contains a podium and a ceiling-mounted LCD projector. 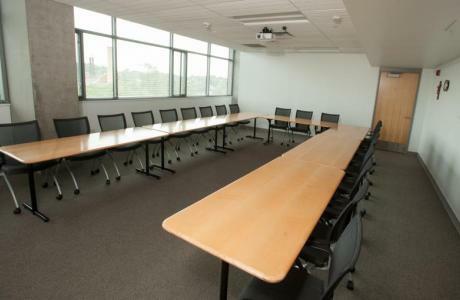 331 Conference Room	 This conference table accommodates up to 12 guests. 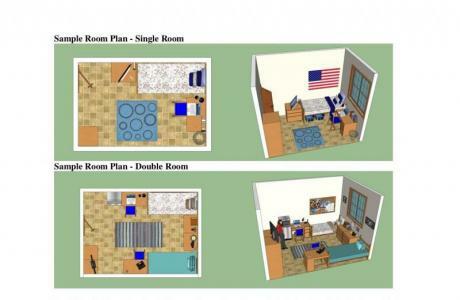 Room contains a private restroom, as well as a buffet table, and couch for additional seating. 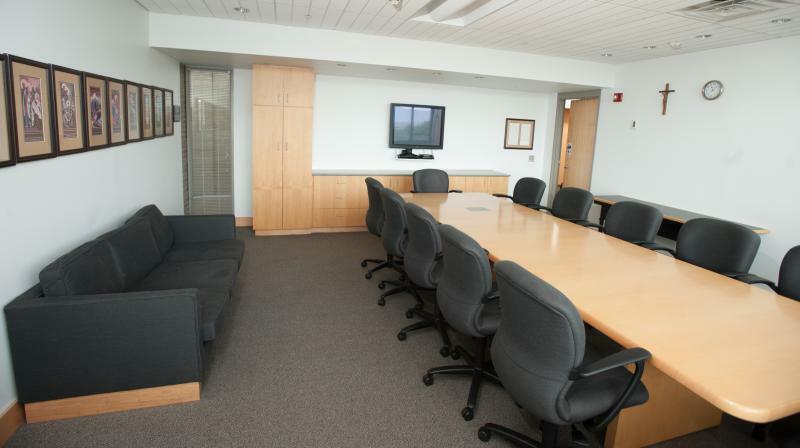 The room features a wall-mounted 46 inch flat screen for audio-visual presentations. 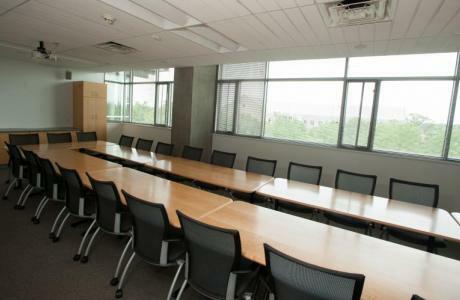 351 Conference Room	 The standard set-up is a boardroom accommodating 20-25 guests. 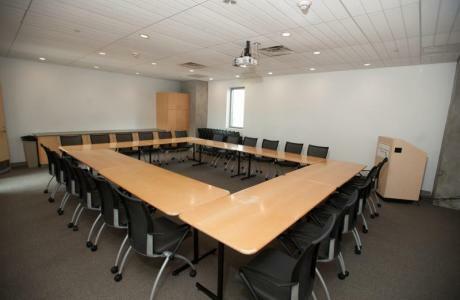 Room can accommodate 32 banquet style and 50 lecture style. Room contains a podium and a ceiling-mounted LCD projector. Large Format and Color Printing/Copying	 We offer large and small format printing service that provides a convenient and economic resource to our conference guests. In general, print jobs can be completed in 3-5 business days at a price that is extremely competitive in the metro D.C. area. Large format prints can be used to create a variety of items for a wide range of purposes. Color and black/white copying services are available as well. Call for fee structure/quotes. The Basilica of the National Shrine of the Immaculate Conception	 The Basilica of the National Shrine of the Immaculate Conception is the largest Roman Catholic church in the United States and North America, and is one of the ten largest churches in the world. Smithsonian Institution Museums	 The Smithsonian Institution is the world's largest museum complex with 19 museums, 9 research centers and the National Zoo - all for free! The museums have a variety of exhibits ranging from art to space exploration, there truly is something for everyone. Eastern Market Eastern Market is one of the most charming neighborhoods in the District. Be sure not to miss the flea and farmer's market, brimming with fresh produce and populated by local artisans. You can also take a leisurely stroll down Pennsylvania Avenue and witness a breathtaking view of the Capitol Building and Library of Congress. Or, grab a bite to eat at "Good Stuff Eatery" made famous by Bravo TV's top chef Spike. It's all this and more! U.S. Capitol Visitor Center	 Just three metro stops away from CUA’s campus is the Nation’s Capitol Building. The Senate and the House of Representatives have met here for more than two centuries. Find your state statue in the Visitors Center and be sure to take a free guided tour of our Nation’s Capitol. Arlington National Cemetery This historic cemetery overlooks Washington DC and is home to the Tomb of the Unknown Soldier.